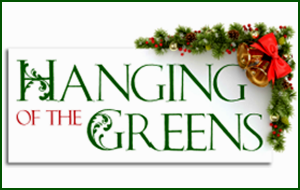 Get this on your calendar NOW!… Back by Popular Demand is “HANGING OF THE GREENS”! Help your church get all spruced up for the holidays! We will meet after church for a Brunch Potluck, then begin HANGING OF THE GREENS! It’s always a great time, and we hope you will stay for a fun afternoon of decorating our church! We will sing Christmas Carols, eat Christmas Cookies and get about the business of preparation for the most exciting time in the life of the church as we prepare a Birthday Party for Jesus!! Brunch Potluck sign up sheets will be upstairs outside the multipurpose room soon! So be looking! If you have any questions give the office a call at 586-468-6464.